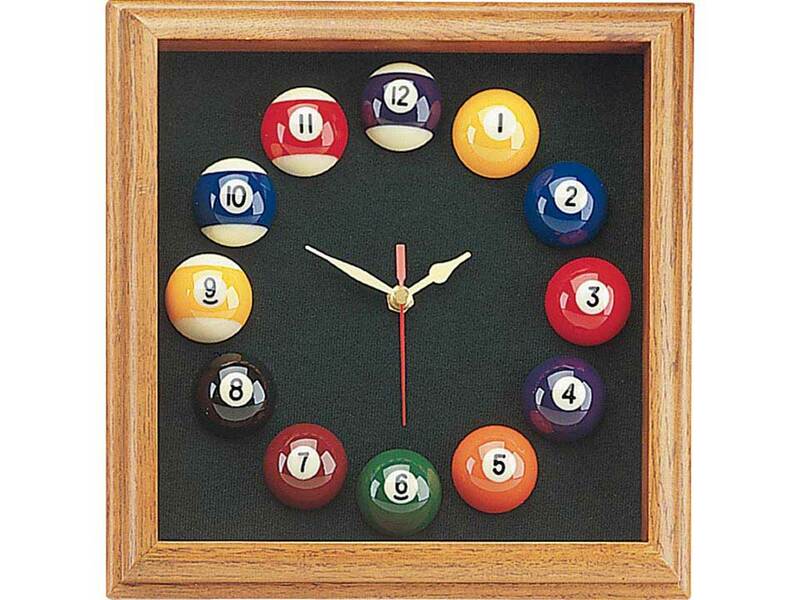 This wood square clock features mini pool balls for each of the twelve hours and spruce felt in the background of the wooden border. 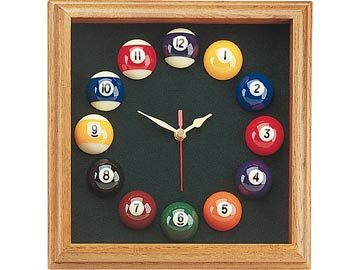 This clock adds a sharp and refined, but still playful look to a pool room. It requires one AA battery (not included).